Citing the miniature mock-up’s many years of service to Northwestern, the deans of each college have jointly announced that the model of new Norris in current Norris will receive tenure at the end of this academic year. Students also praised the model for its steady presence throughout their time at the school. 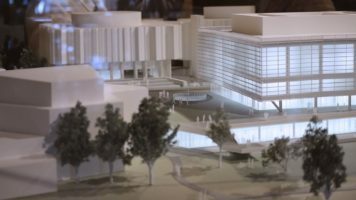 This announcement comes soon after the retirement of the blueprints for Bobb renovations, which have been on the tenured faculty for 35 years.